Very nice staff and good units. 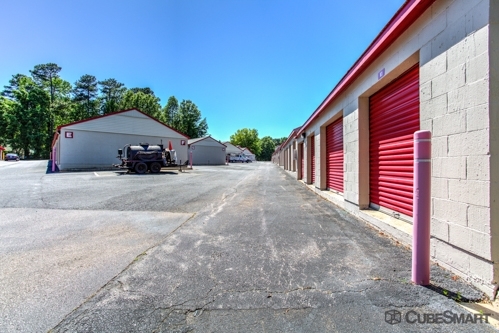 The staff is friendly and there are a lot of storage options. Pricing is moderate and there is no long term contract-month to month. The tour and paperwork were completed very quickly. Understood our particular needs and were very accommodating! It's exactly what I expected. Everything went smoothly. Friendly staff, great facilities and prices. Overall an amazing experience. The customer service was excellent! The only thing I didn't like was when she said climate controled meant if it's hot out the storage would be hot! Exemplary customer service, easy to reserve a unit, free box truck to use! 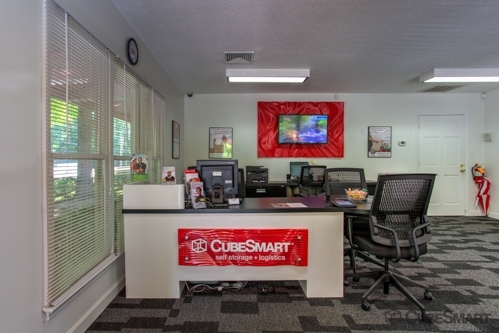 CubeSmart's staff is so friendly, energetic, and knowledgeable! Ms. Robinson answered all my questions with veritable ease, toured me around the facility, and processed my reservation quickly. 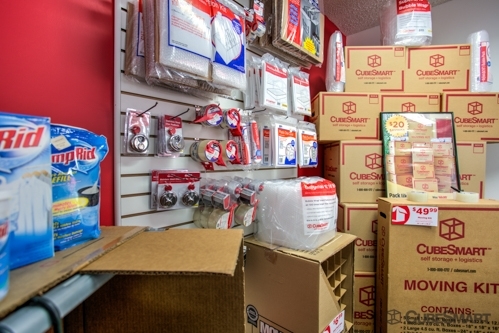 I also made use of their box truck to move items in and that perk alone would have set CubeSmart above the rest. The prices are reasonable, the space is clean, the staff is a joy to interact with. Aisha gave outstanding customer service!! I really wish more businesses would hire awesome people like her!! 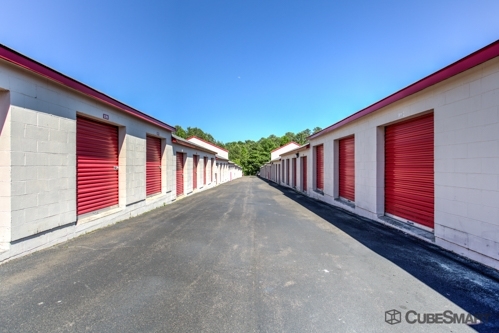 Would definitely recommend this storage facility. I needed a storage unit right away and not all of them are open on Sunday. This one was open and very accommodating. Aisha, the lady working there was so awesome!! It's not often these days to get good customer service, from anywhere so whenever I do it's so refreshing and appreciated and she gave genuinely excellent customer service. We even realized once she took us to the unit we rented, that it was not going to be big enough so she had to redo everything and was not even the slightest bothered by that! I wish more businesses would have great employees like her!! The place is decent, Noticed some spiders and bugs after putting boxes in the unit. Customer Service when I originally signed up for the unit was fantastic!. I dont have anything really negative about the place other than the pests, but its not that big of a deal. 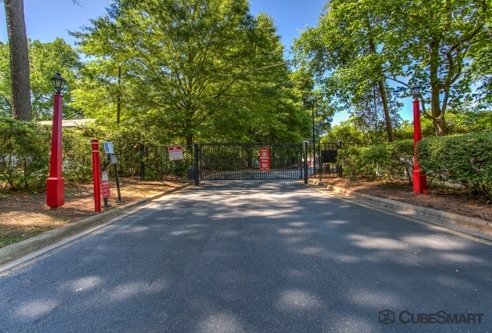 The location isn't bad for the price, had a few concerns regarding the gate being held by string., property said it was going to be fixed but had no timeframe. Another thing that was bothersome was you had to pay extra to have 24/7 access. I wouldn't recommend getting insurance through them as for their price of 11/month for 2-3k in coverage, you can get a rental policy that covers 20,000 for a little bit less that 11/month, or adding the endorcement on your GL policy is next to nothing and covers 2 million worth. Overall not a bad deal, and would probably recommend to a fellow friend or business. 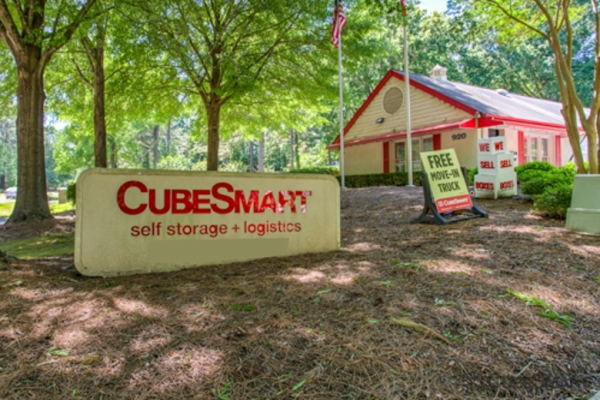 This is my first time using a storage unit and the staff at Cube Smart in Cary, NC were amazing. The process was fast and easy. And you can tell they care about they're customers. Gloria was the best. She understood that I had come from out of state and was very acomidating. The property is secure and very well kept. So far I like the office people. They were very kind and informative. I was running late to work, but as soon as I applied for a storage unit I was helped out within 10 minutes even though there was a line. I made it to work on time, and my storage unit is really big for what I thought. I could fit more stuff if i really wanted to. Definitely a place to store your stuff short-term or long term. My initial experience was very positive. 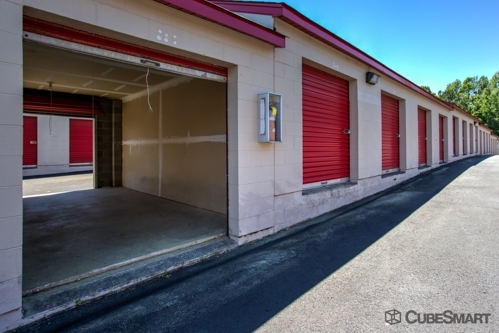 I was greeted by a friendly and helpful staff member who efficiently assisted me in completing the necessary paperwork for the new storage unit I was renting. She came by to check and confirm there were no problems with the unit while we were unloading as well. The only negative is it's a little hard to find. Cary doesn't like storage units so they have to conceal them. Rental agent was very nice and friendly. The only negative is it wasn't disclosed that you have to buy $2K worth of insurance, and that affects your price calculations. I was not crazy about the fact that I could just drive in at 9 pm, the gate wasn't closed. The staff at this facility was well above helpful and very friendly. I felt like we were old friends from the moment I walked through the door. It was around 5pm on July 3rd so I was expecting the staff to just be ready to go home but they were very upbeat and helpful and had answers to all of my questions. A++ customer service. the manager was awesome and made us feel very welcome. even helped us with a few tips on packing our stuff in the room. Very good for what they do. Storing college students goods for the Summer. System was down when I got there but people worked their way through it to get me to my unit. Kudos for that. To me, storage is storage so this is as good if not better than the rest. The storage unit was full of cob webs but suits my needs. The employees brought me to my unit and opened and showed it to me. I loaded my property in it and put a brand new lock on it. The next day they called me and told me that they had cut my lock because I "moved into the wrong unit." They had given me paperwork for a different unit apparently. So they replaced the lock once they realized what they had done and I do not have access to it Because I don't have the key. I am really unhappy with their disorganization. I do not feel my property is safe and I can't get back to the facility for 2 months because I am out of state. It didn't take long to process paperwork and the staff was very helpful and friendly. Ken was helpful. I had my 1 and 3 yr olds with me, and he was very patient with the extra time it took to fill out paperwork with their constant chatter.